Selected for the Premier Auction to benefit The Pyramid Society at the 2014 Egyptian Event in Kentucky. The theme for the 2014 Egyptian Event Arabian horse show at The Kentucky Horse Park was “Mares, Queens of the Nile”. I wanted to create a painting to reflect this theme. 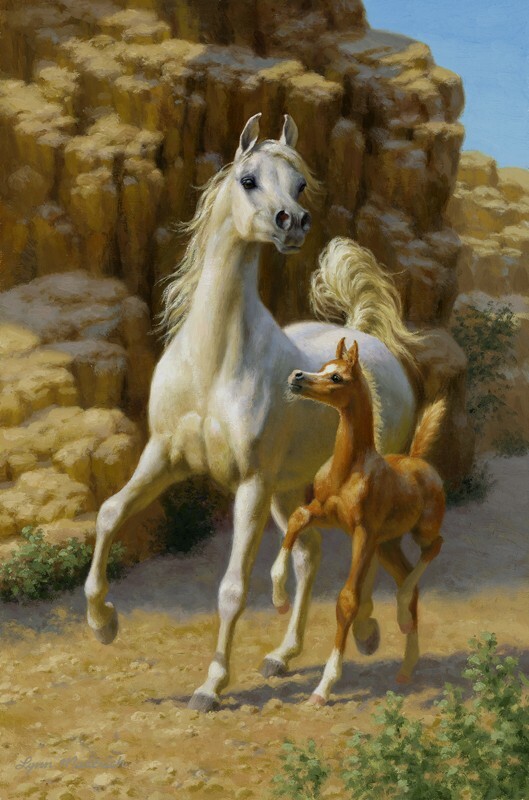 I painted an Arabian mare, alert to her surroundings, emerging with her filly from a canyon into the desert beyond.